Match ends, Saudi Arabia 2, Australia 3. Second Half ends, Saudi Arabia 2, Australia 3. Mitchell Langerak (Australia) wins a free kick in the defensive half. Dangerous play by Mukhtar Fallatah (Saudi Arabia). Mark Bresciano (Australia) wins a free kick on the right wing. Foul by Osama Hawsawi (Saudi Arabia). Attempt saved. Mukhtar Fallatah (Saudi Arabia) left footed shot from the left side of the box is saved in the top left corner. Assisted by Taiseer Al-Jassam. Corner, Saudi Arabia. Conceded by Trent Sainsbury. Attempt saved. Tommy Oar (Australia) left footed shot from the left side of the box is saved in the bottom right corner. Assisted by Tomi Juric. Foul by Taiseer Al-Jassam (Saudi Arabia). Tommy Oar (Australia) wins a free kick in the defensive half. Foul by Hassan Muath Fallatah (Saudi Arabia). Substitution, Saudi Arabia. Ahmad Asiri replaces Waleed Rashid Bakshwin. Goal! Saudi Arabia 2, Australia 3. Taiseer Al-Jassam (Saudi Arabia) left footed shot from the left side of the six yard box to the bottom left corner. Assisted by Yasser Al-Shahrani with a cross. Corner, Australia. Conceded by Hassan Muath Fallatah. Attempt blocked. Mathew Leckie (Australia) left footed shot from the centre of the box is blocked. Attempt blocked. Yahya Al-Shehri (Saudi Arabia) left footed shot from the centre of the box is blocked. Assisted by Waleed Rashid Bakshwin. Attempt missed. Tomi Juric (Australia) left footed shot from outside the box is too high. Foul by Mark Bresciano (Australia). Taiseer Al-Jassam (Saudi Arabia) wins a free kick in the defensive half. Substitution, Australia. Mark Bresciano replaces Massimo Luongo. Corner, Australia. Conceded by Majed Al-Marshadi. Goal! Saudi Arabia 1, Australia 3. Bailey Wright (Australia) left footed shot from very close range to the bottom right corner following a corner. Attempt blocked. Bailey Wright (Australia) header from very close range is blocked. Assisted by Tomi Juric with a headed pass. Corner, Australia. Conceded by Taiseer Al-Jassam. Attempt blocked. Tomi Juric (Australia) left footed shot from a difficult angle on the left is blocked. Assisted by Carl Valeri with a through ball. Brad Smith (Australia) wins a free kick on the left wing. Foul by Yasser Al-Shahrani (Saudi Arabia). Attempt missed. Yasser Al-Shahrani (Saudi Arabia) right footed shot from the right side of the box is just a bit too high. Assisted by Waleed Rashid Bakshwin. Attempt missed. Hassan Muath Fallatah (Saudi Arabia) right footed shot from outside the box is high and wide to the right. Assisted by Ibrahim Ghaleb. Substitution, Saudi Arabia. Yahya Al-Shehri replaces Salman Al-Faraj. 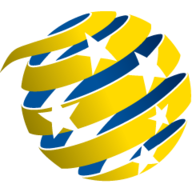 Tommy Oar (Australia) is shown the yellow card for a bad foul. Foul by Tommy Oar (Australia). Taiseer Al-Jassam (Saudi Arabia) wins a free kick in the attacking half. Goal! Saudi Arabia 1, Australia 2. Hassan Muath Fallatah (Saudi Arabia) converts the penalty with a right footed shot to the bottom left corner. Mitchell Langerak (Australia) is shown the yellow card for a bad foul. Penalty conceded by Mitchell Langerak (Australia) after a foul in the penalty area. Penalty Saudi Arabia. Salman Al-Faraj draws a foul in the penalty area. Substitution, Australia. Tomi Juric replaces Tim Cahill. Foul by Brad Smith (Australia). Osama Hawsawi (Saudi Arabia) wins a free kick in the defensive half. Attempt missed. Tim Cahill (Australia) header from the centre of the box misses to the right. Assisted by Massimo Luongo with a cross following a corner. Corner, Australia. Conceded by Abdullah Al-Zori. Substitution, Saudi Arabia. 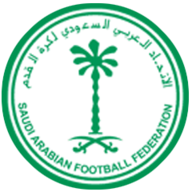 Ibrahim Ghaleb replaces Saud Kariri. Majed Al-Marshadi (Saudi Arabia) wins a free kick in the defensive half. Attempt missed. Joshua Brillante (Australia) right footed shot from outside the box is high and wide to the right. Assisted by Tommy Oar. Substitution, Australia. Brad Smith replaces Jason Davidson. Substitution, Australia. Mark Milligan replaces Mile Jedinak. Substitution, Australia. Carl Valeri replaces Chris Herd. Attempt missed. Massimo Luongo (Australia) header from the centre of the box is too high. Assisted by Mathew Leckie with a cross. Tim Cahill (Australia) wins a free kick in the attacking half. Foul by Waleed Rashid Bakshwin (Saudi Arabia). Foul by Majed Al-Marshadi (Saudi Arabia). Substitution, Saudi Arabia. Abdullah Al-Zori replaces Mansour Al-Harbi. Substitution, Saudi Arabia. Mukhtar Fallatah replaces Nasser Al-Shamrani. Foul by Tim Cahill (Australia). Mansour Al-Harbi (Saudi Arabia) wins a free kick in the defensive half. Waleed Rashid Bakshwin (Saudi Arabia) is shown the yellow card for a bad foul. Jason Davidson (Australia) wins a free kick on the left wing. Chris Herd (Australia) wins a free kick in the defensive half. Foul by Salman Al-Faraj (Saudi Arabia). Offside, Saudi Arabia. Hassan Muath Fallatah tries a through ball, but Nasser Al-Shamrani is caught offside. Attempt missed. Yasser Al-Shahrani (Saudi Arabia) right footed shot from the right side of the box is close, but misses the top right corner. Assisted by Taiseer Al-Jassam with a cross. Foul by Jason Davidson (Australia). Hassan Muath Fallatah (Saudi Arabia) wins a free kick in the defensive half. Tim Cahill (Australia) wins a free kick on the left wing. Attempt blocked. Massimo Luongo (Australia) left footed shot from the left side of the box is blocked. Assisted by Jason Davidson. Attempt saved. Tim Cahill (Australia) header from the centre of the box is saved in the bottom right corner. Assisted by Jason Davidson with a cross. Second Half begins Saudi Arabia 0, Australia 2. First Half ends, Saudi Arabia 0, Australia 2. Attempt missed. Mile Jedinak (Australia) header from the centre of the box is too high. Assisted by Massimo Luongo with a cross following a set piece situation. Foul by Mansour Al-Harbi (Saudi Arabia). Offside, Saudi Arabia. Salman Al-Faraj tries a through ball, but Mansour Al-Harbi is caught offside. Attempt missed. Mathew Leckie (Australia) header from the centre of the box is close, but misses to the right. Assisted by Tommy Oar with a cross. Attempt missed. Hassan Muath Fallatah (Saudi Arabia) left footed shot from outside the box is high and wide to the left. Assisted by Saud Kariri. Attempt blocked. Taiseer Al-Jassam (Saudi Arabia) right footed shot from outside the box is blocked. Attempt saved. Tim Cahill (Australia) header from the centre of the box is saved in the top centre of the goal. Assisted by Mathew Leckie with a cross. Yasser Al-Shahrani (Saudi Arabia) wins a free kick in the defensive half. Attempt missed. Mile Jedinak (Australia) right footed shot from outside the box misses to the left. Assisted by Tim Cahill with a headed pass. Attempt blocked. Tommy Oar (Australia) left footed shot from outside the box is blocked. Assisted by Massimo Luongo. Bailey Wright (Australia) wins a free kick in the defensive half. Foul by Nasser Al-Shamrani (Saudi Arabia). Jason Davidson (Australia) wins a free kick in the defensive half. Attempt saved. Taiseer Al-Jassam (Saudi Arabia) right footed shot from the centre of the box is saved in the top right corner. Assisted by Yasser Al-Shahrani. Foul by Massimo Luongo (Australia). Mansour Al-Harbi (Saudi Arabia) wins a free kick on the left wing. Tim Cahill (Australia) wins a free kick in the defensive half. Corner, Saudi Arabia. Conceded by Chris Herd. Tommy Oar (Australia) wins a free kick in the attacking half. Foul by Saud Kariri (Saudi Arabia). Attempt missed. Tim Cahill (Australia) right footed shot from outside the box misses to the right. Assisted by Massimo Luongo. Foul by Joshua Brillante (Australia). Attempt saved. Mile Jedinak (Australia) header from the centre of the box is saved in the top left corner. Assisted by Mathew Leckie with a cross. Joshua Brillante (Australia) wins a free kick on the right wing. Corner, Australia. Conceded by Mansour Al-Harbi. Goal! Saudi Arabia 0, Australia 2. Mile Jedinak (Australia) header from the centre of the box to the bottom right corner. Assisted by Joshua Brillante with a cross following a set piece situation. Substitution, Australia. Trent Sainsbury replaces Alex Wilkinson because of an injury. Massimo Luongo (Australia) wins a free kick on the left wing. Salman Al-Faraj (Saudi Arabia) wins a free kick on the left wing. Goal! Saudi Arabia 0, Australia 1. Tim Cahill (Australia) left footed shot from very close range to the centre of the goal. Attempt blocked. Massimo Luongo (Australia) right footed shot from very close range is blocked. Attempt blocked. Massimo Luongo (Australia) right footed shot from very close range is blocked. Assisted by Mathew Leckie. Attempt blocked. Mathew Leckie (Australia) left footed shot from the left side of the box is blocked. Assisted by Tommy Oar. Waleed Rashid Bakshwin (Saudi Arabia) wins a free kick on the right wing. Yasser Al-Shahrani (Saudi Arabia) wins a free kick on the right wing.